MAX Series DNA More than just a practical commuter, the stylish XMAX™ features aggressive, angular bodywork for a high-class appearance that elevates the XMAX beyond expectations. 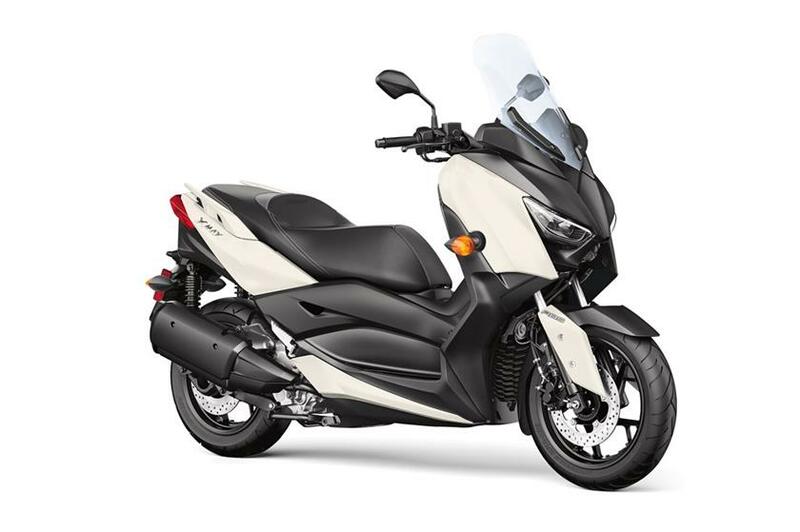 Sporty, Fuel Efficient Engine Featuring technology developed for use in Yamaha’s high-performance sport bikes, the XMAX motor is smooth, efficient and ready for everything from the day-to-day commute to fun rides on the weekend. Convenience and Technology With a fully-automatic transmission, the XMAX is exceedingly simple to ride, and comes standard with an extensive list of rider aids, including traction control and ABS. Combined with a frame designed for light and neutral handling, the XMAX makes for a confidence inspiring ride on any road. Luxury + Comfort + Practicality High-tech features distance the XMAX from your typical bare-bones scooter, including LED lighting and advanced instrumentation. With plenty of lockable onboard storage, a 12V power port to recharge small devices and an adjustable handlebar and windscreen, the XMAX is a ready to go whenever you are, whether you need to get groceries down the street or head across the state.